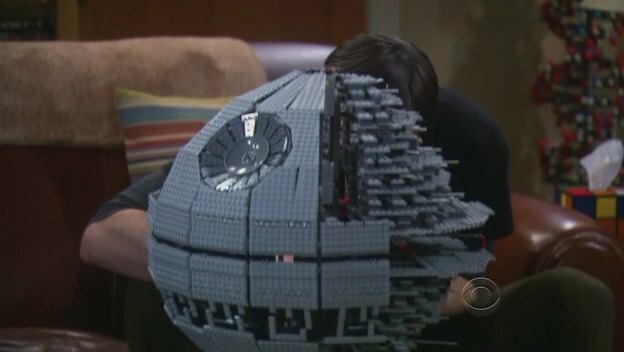 Bill Prady (@BillPrady) tweeted after the show's East Coast airing that the "Lego Death Star was originally in Sheldon's mom ep. 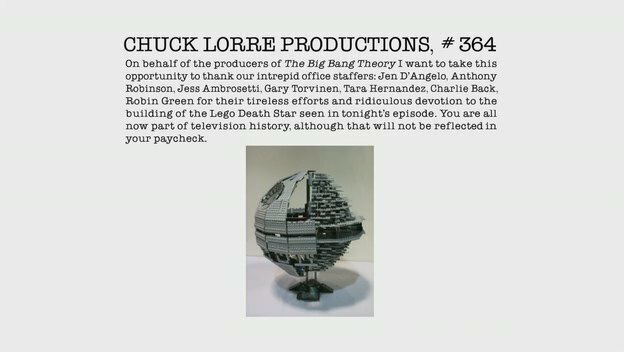 When we cut it, the staffers who built it nearly cried." 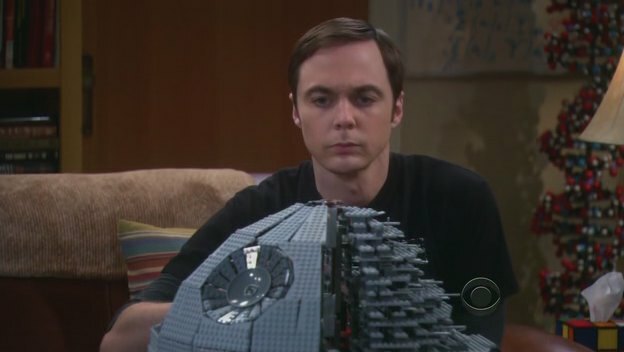 He then added that it "took about a month of staffers using the odd free minute to assemble to 4/5 completion." 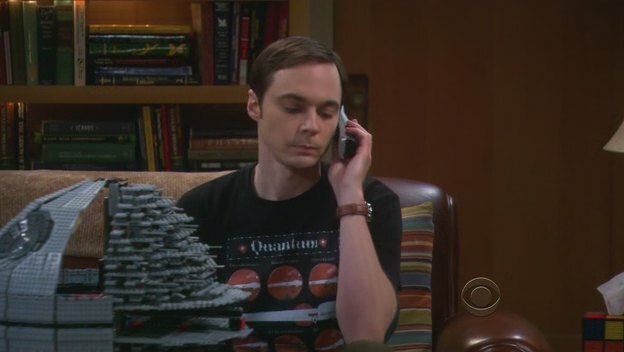 Sheldon: Last night, I was strong-armed into an evening of harp music and spooning with an emotional Amy Farrah Fowler. 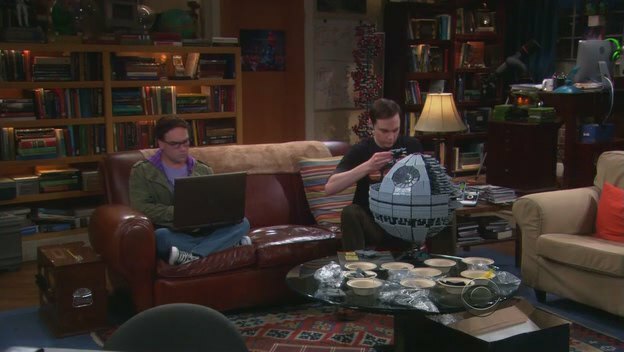 This on a night that I had originally designated for solving the space-time geometry in higher-spin gravity and building my Lego Death Star. And why? 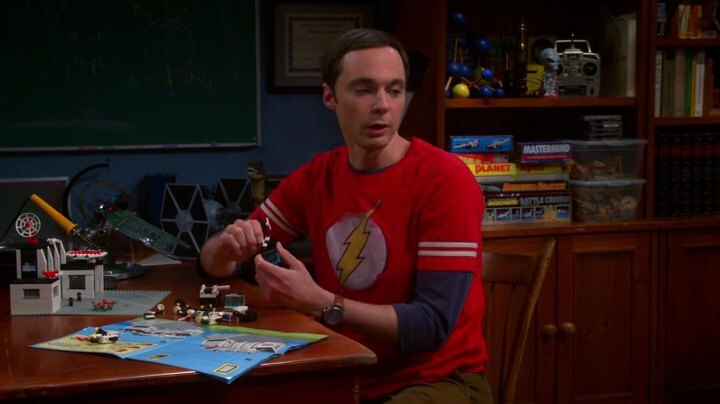 Your gal pals, Penny and Bernadette went out shopping for some wedding nonsense without Amy, an action they took with no thought or regard as to how it would affect me, the future of string theory, or my lego fun time! 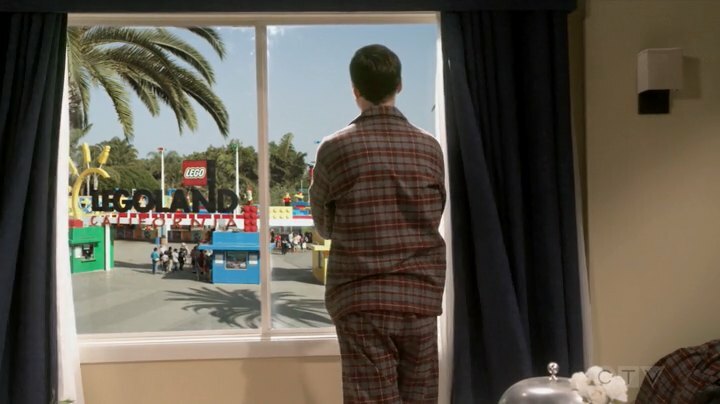 In episode 12.01, he opens the curtains of his hotel room, showing that he is at Legoland. 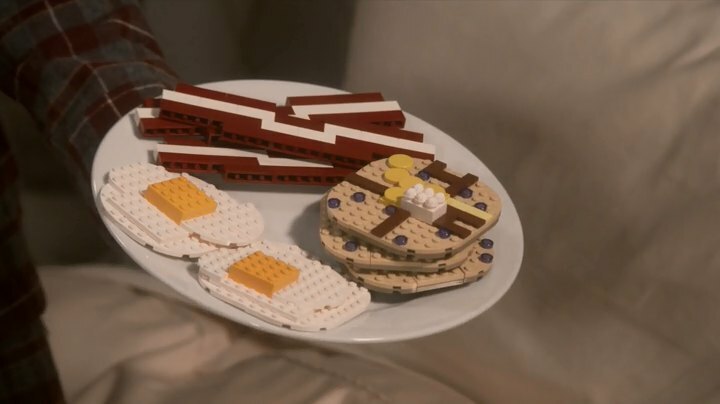 He also ordered breakfast. 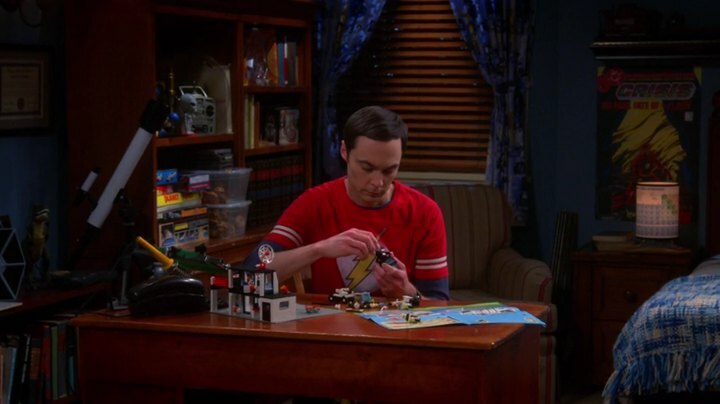 LEGO® is a trademark of The LEGO Company which is in no way linked, managing, owning nor sponsoring this website.